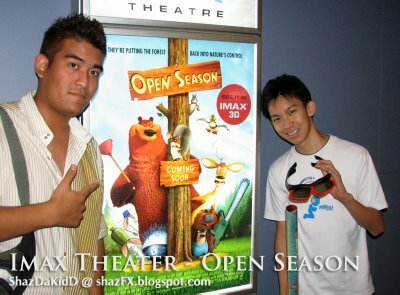 Open Season Press Premiere @ iMAX THEATRE happened last night at the Berjaya Times Square iMAX Theatre. This is a MUST watch animated film!!! It's hillarious, it's awesome, will keep you awake throughout the entire show!!! It's worth your money (yea iMAX movies aren't that cheap)...so do try it out, and for those who wear contact lenses and wanna try wearing your spectacles at night while watching this movie...please don't! Juz go ahead wear your contact lenses istead. Posing outside the iMAX theater hall taking pic with the poster!!! 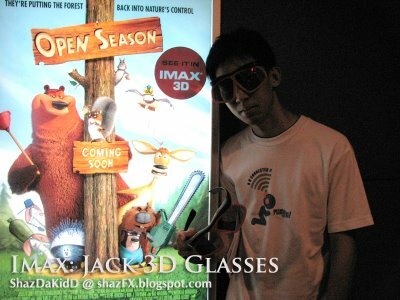 Jack was holding both our 3D glasses (Believe it or not - these cost RM 30 sumthin each and maintenance for it is expensive - to desanize it after each show). 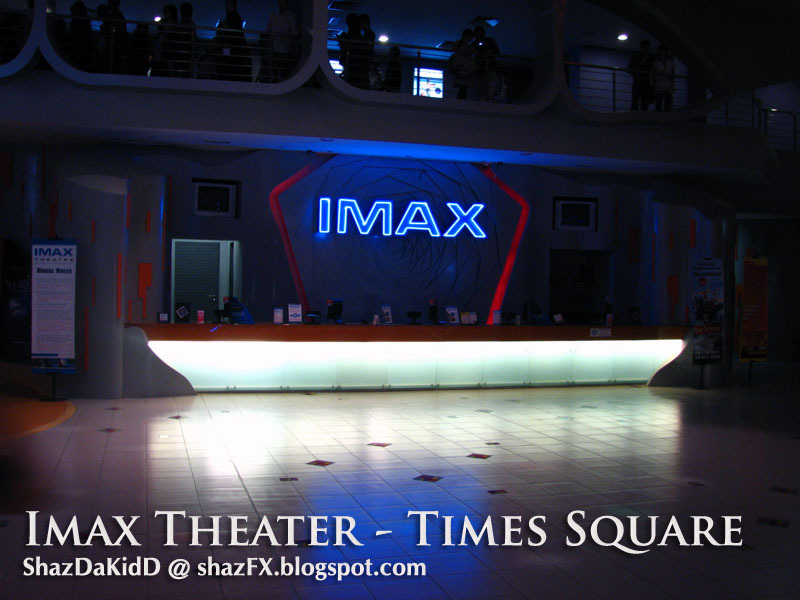 Still remember those days when the iMAX theater used to be sponsored by Digi. I never knew that Open Season is in 3D!!! Oh well...it was great watching it on this 5 storey high screen. Went for dinner at AsiaCafe...Cheryl called in to have dinner so we all met up for dinner - Slinky, Scott, Penny, and of course with Cheryl. 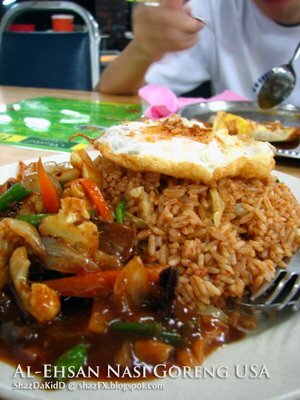 We had a blast there...wahh...but seriously been eatign at AsiaCafe alot lately! 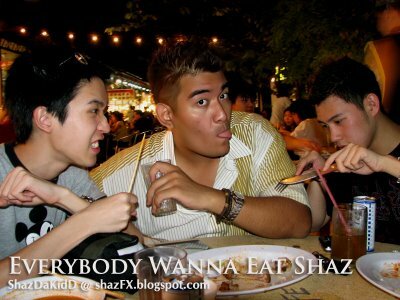 I thought everybody loves shaz??? 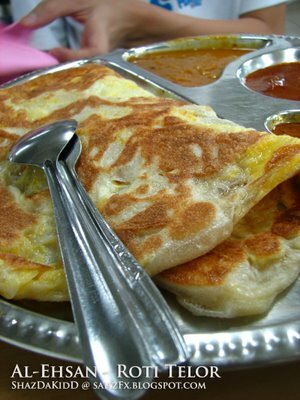 Went for supper at Al-Ehsan in Bandar Kinrara...this place rawkss!!! The food is awesome. 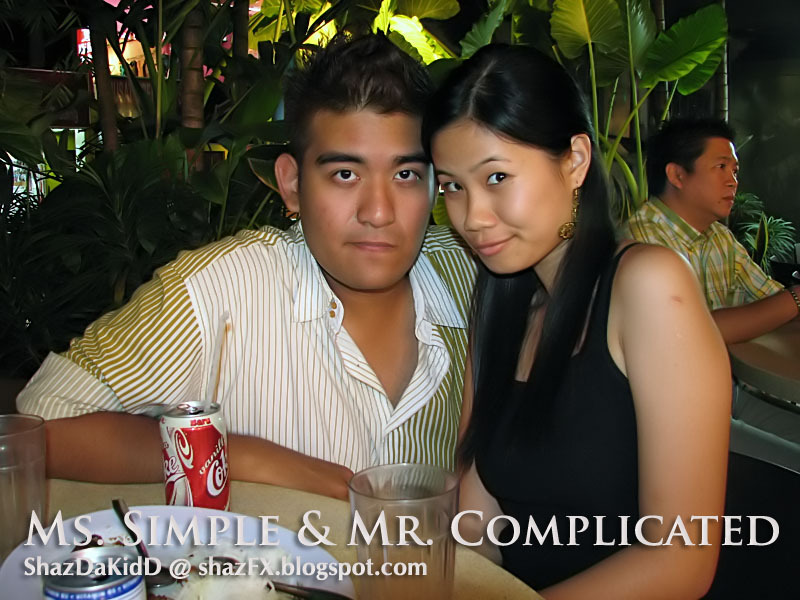 I was broke...no money at all and Jack spent me supper here. Thx for saving my life bro! I've never tasted Roti Telor this nice before - Jack had this (why la bro...eat so cheap). But hey thanks for spending me supper! heard about OPEN SEASON on radio and didnt know that its in 3d! DANG!